So I decided to show all of you some of my favorite pictures since I have been here. I hope you enjoy. This was maybe a week into my stay here. Brock and I went out on the Blue Nile to do some canoeing… I never planned on staying in the canoe. 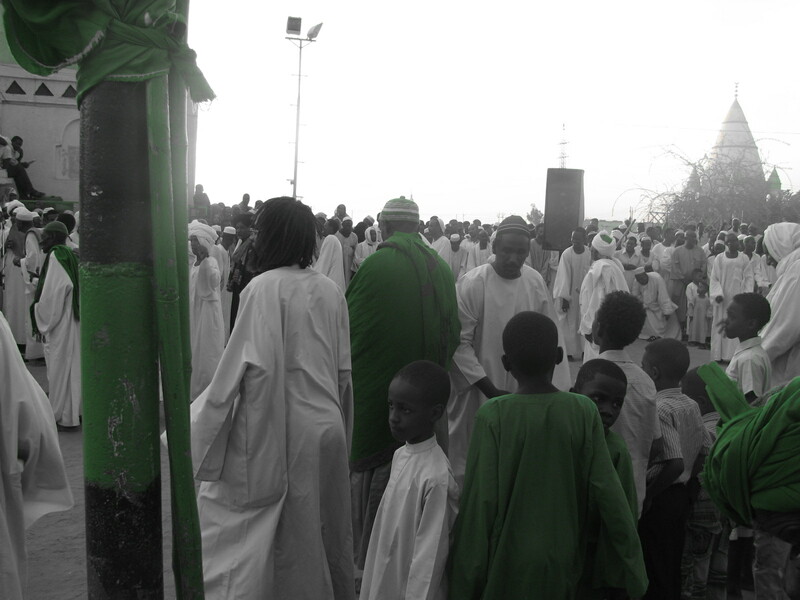 This was one of my favorites from the trip we took to see the Sufi whirling dervish dancing rituals. It was fascinating how different this particular sect was in its practices. 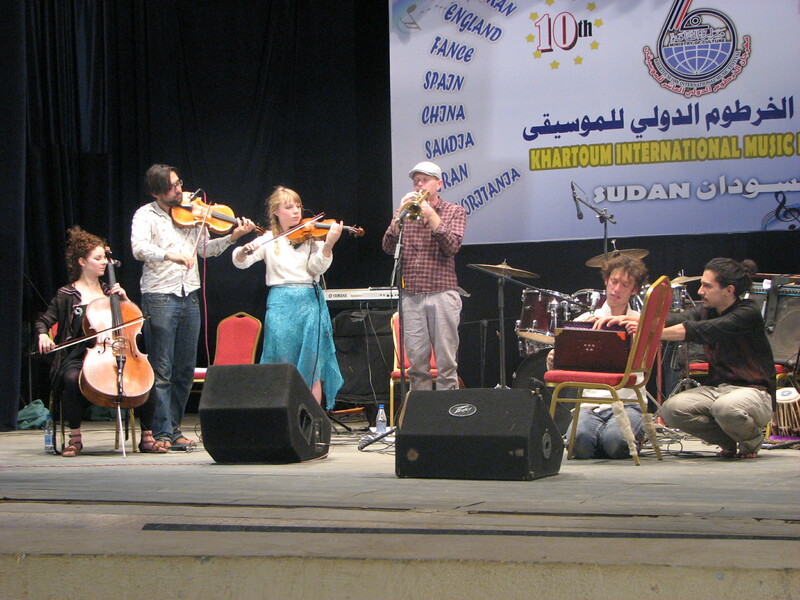 Brock, Hussan, and I went to the Khartoum International Music Festival and I think there was some confusion because they sat us beside the British Council. ha This was a wonderful British folk band whose name escapes me at the moment. 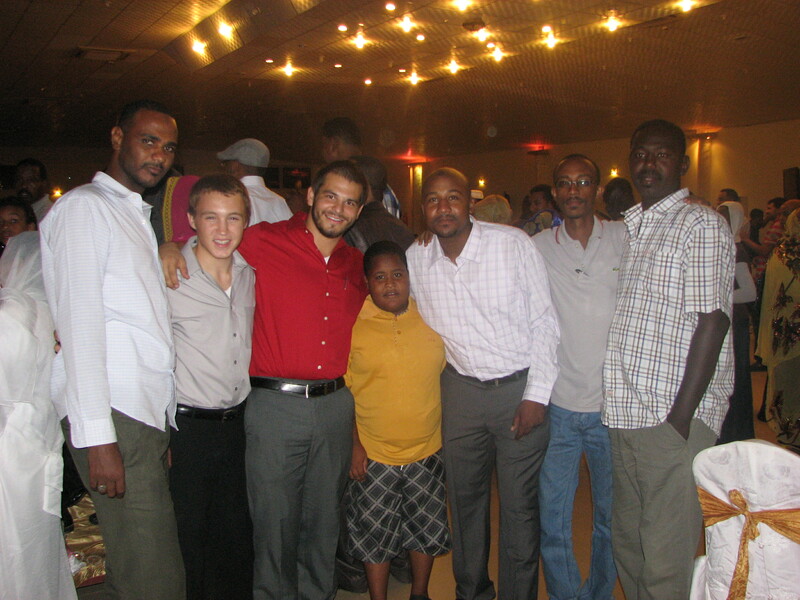 This is my first Sudanese wedding, but it certainly wasn’t my last. 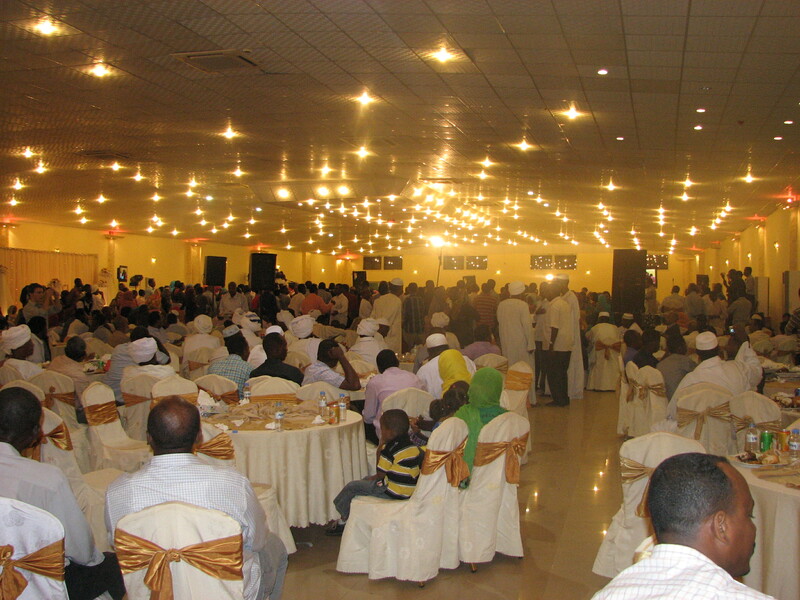 It is quite different than American weddings. There is about a 5 minute ceremony and the music starts and dancing begins. Of course males and females do NOT dance together. These are a few of the guys I hang out with around the English center. They were kind enough to invite us to the wedding. This was a meal served to the men at an engagement party. 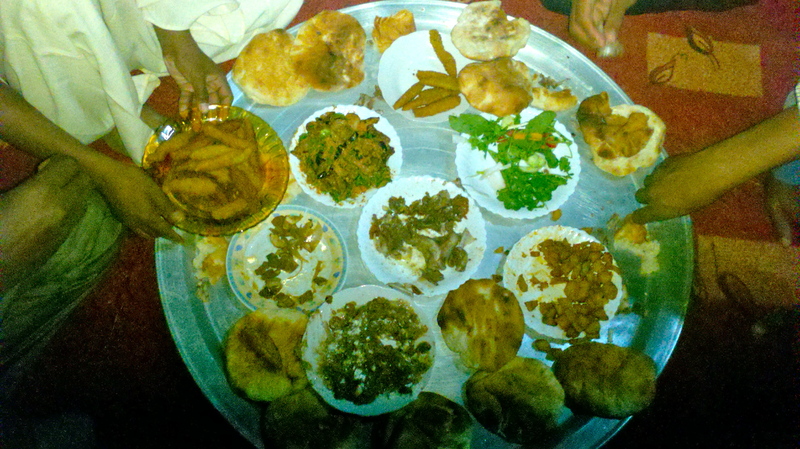 This meal is complete with the likes of tamia(falafel), Fuul(Fava beans with cheese), Salata Aswat(Eggplant mush), Sheep’s stomach, Lamb meat, Batates(potatoes), and a few other treasures. I throughly enjoyed it all. 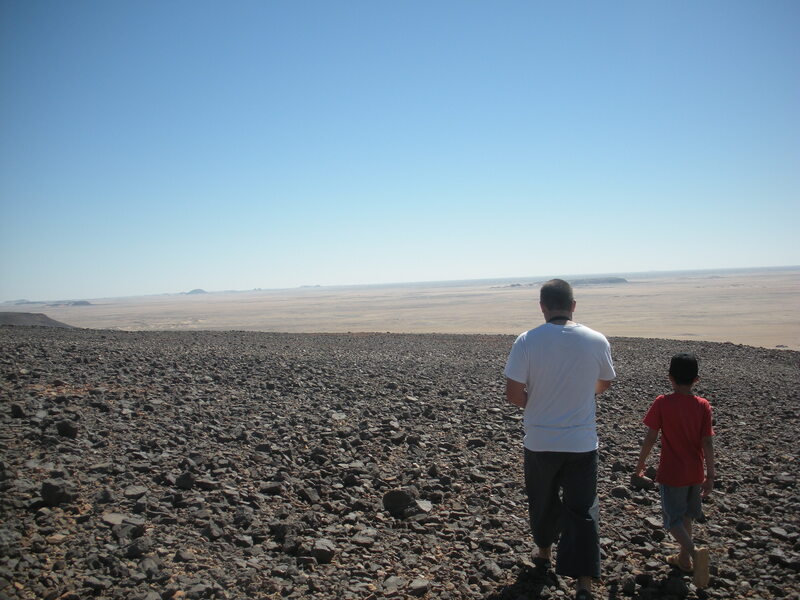 Us guys stopped to climb a mountain in the middle of the desert. Major man points. That is Sem walking with me to start the decent. 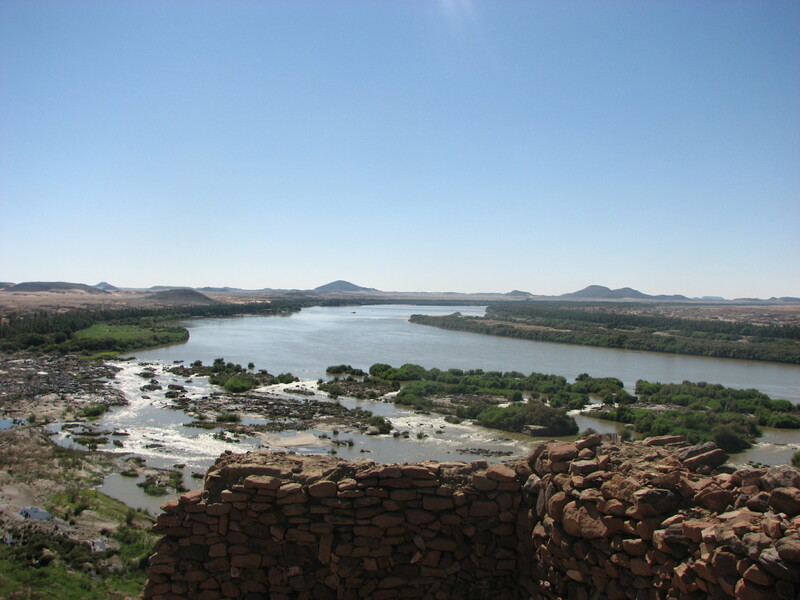 This is a nice picture of one set of the Nile cataracts from the view of an old British fort. 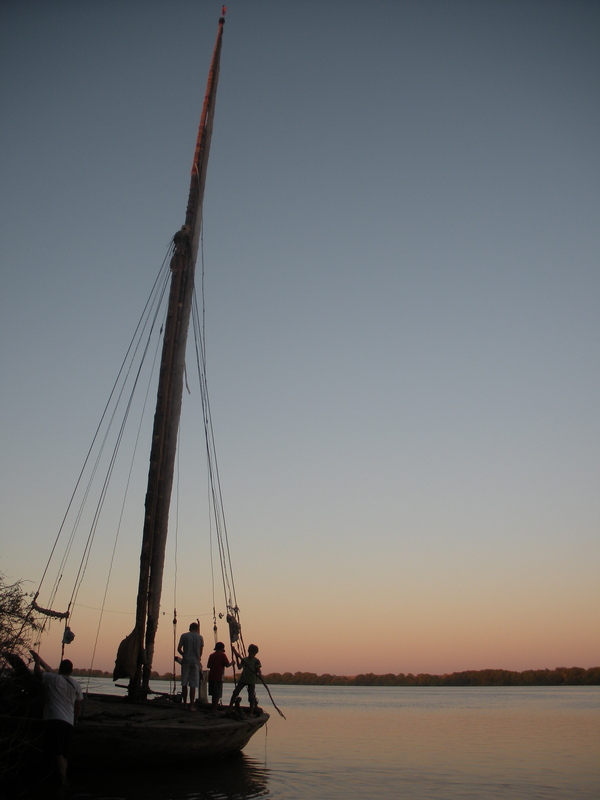 Unfortunately we didn’t get to go out on this amazing sailboat but I love the pictures I got from it. 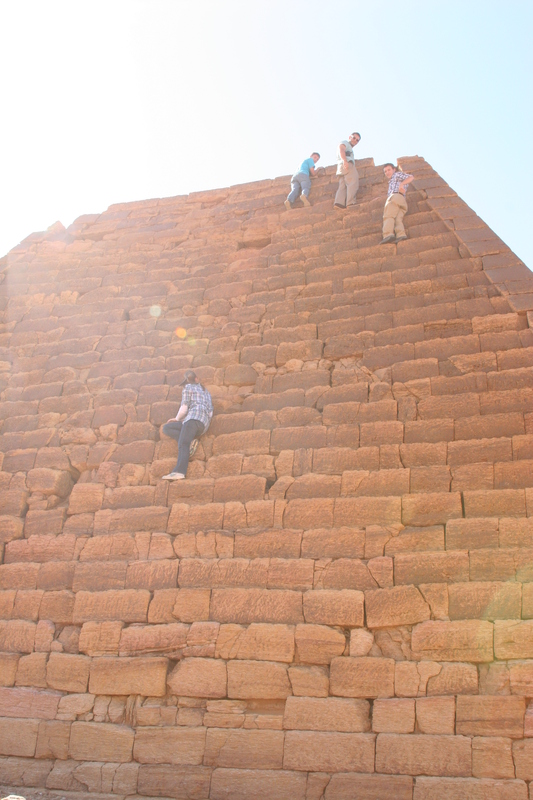 We took a trip up to the Meroitic Pyramids in the northern region of Sudan. This is a nice shot of our camel ride to the pyramids from the campsite. This is a shot I got from the roof of a friend’s building. 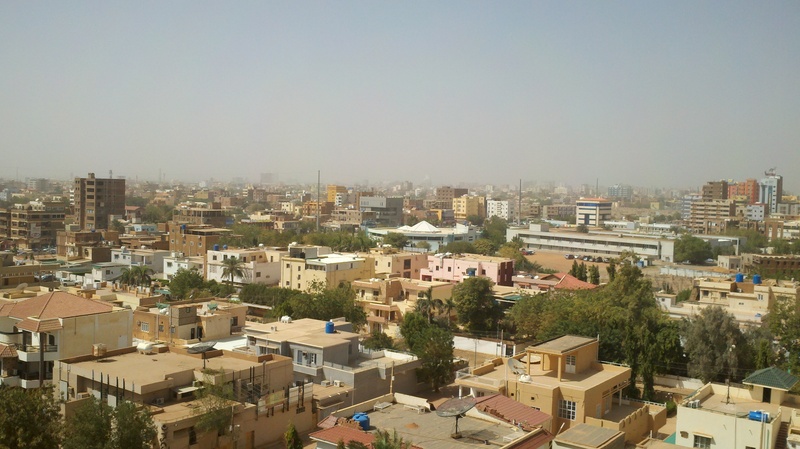 It is a nice view of Khartoum. I hope you enjoyed these photos. I will try to do some more of this as I gain more photos. I think the next project will be my apartment. May the grace and peace of our Lord be with you always.